Evo & Grace: The WanderLusts: REP’s A Comedy of Tenors: An Operatic Mayhem. Comedy of Tenors”. Directed by Miguel Faustmann, this operatic comedy by Tony Award-winning Ken Ludwig promises a hilarious chaos that could left you gagging. A way to start REP’s 51st Season. Set in 1930’s Parisian Hotel, the narrative revolves around the chaotic mayhem as the veteran tenor Tito Merelli, the uprising star Carlo Nucci and Max prepare for their concert that would be leave a mark as the concert of the century. As the preparation draws toward the performance night, the gang finds their selves in the intersection of secret love affairs, mistaken identities and romantic misunderstanding that stirs the quirks and qualms of the different personalities of the characters. Through-out the 2-hour show, humorous banters and timeless comedic acts will surely keep you indulging. 1930’’s Paris is known for their marble hotels which grandeur was captured by the set design. 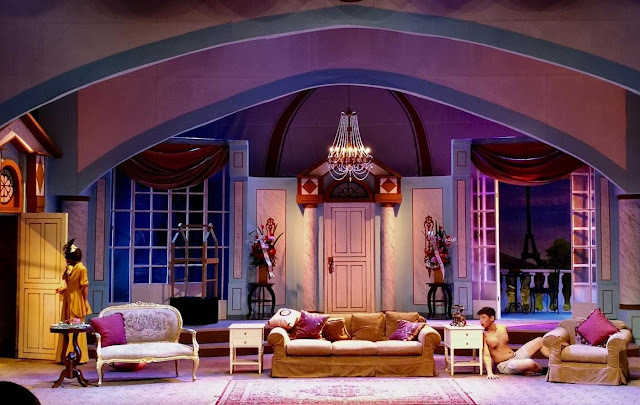 The comic yet plush hotel stage sets the tone of the show. Classy marble posts, elegant chandelier, and gold-lined French fixtures brings you to a time capsule back to its era. Moreover, lighting on the set was light but with the right kind of vivid which is smooth to the eye without compromising the mood of the scenes. Overall, the set complements and did justice to the material. A frantic producer and his equally frazzled assistant, an Italian age-insecure tenor and his hot-blooded wife, an actress-wannabe daughter and her uprising singer lover, the venetian-pride bell hopper, and the Russian vixen soprano make the colorful crazy ensemble. 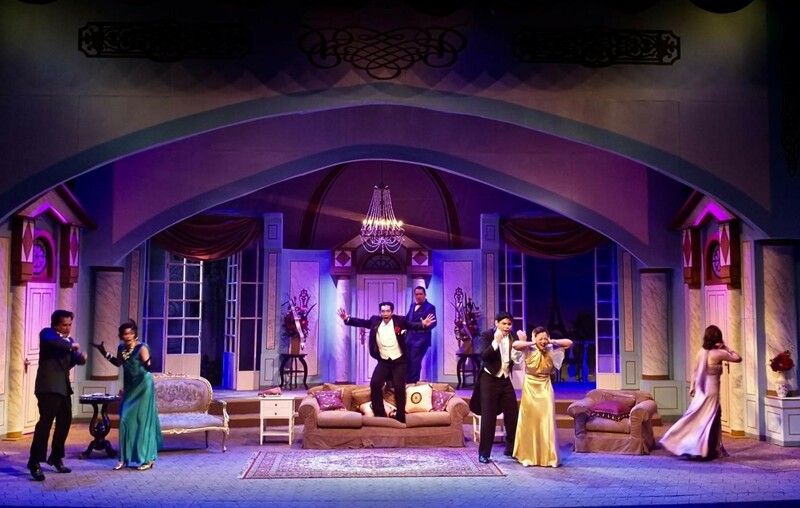 Aside from the difficult toll of delivering on-point comical punchlines, the actors must also have an operatic prowess in singing which is being asked by the material. Seasoned cast that possesses the best of both worlds give justice to the play. Lorenz Martinez was great in playing both the roles of Bepo and Tito at the same time in tandem with the very witty Issa Litton as Maria. Arman Ferrer’s debut performance on a full-length theater play was stellar and at par with his veteran co-actors paired with his impressive singing. Flawless performance from the cast really shows their experience and their veteran status in the theater scene. 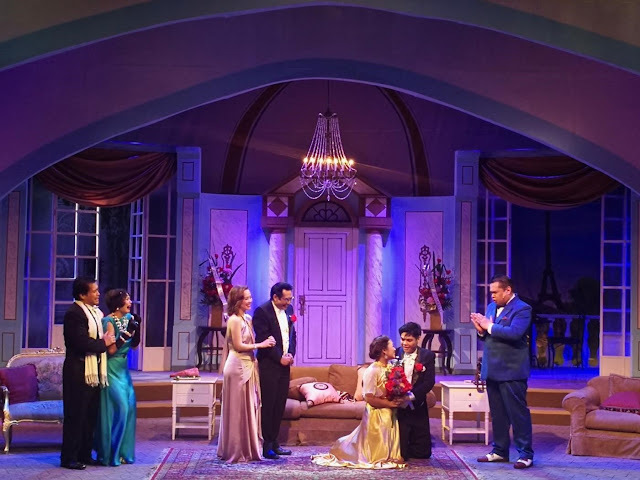 Using and sticking to an original period-themed comedy piece does not always ensure to capture contemporary audience, but “A Comedy of Tenor” material pulled it off. It has a simple plot, but with intricate scenes with language that is both contextually accurate and still relatable. 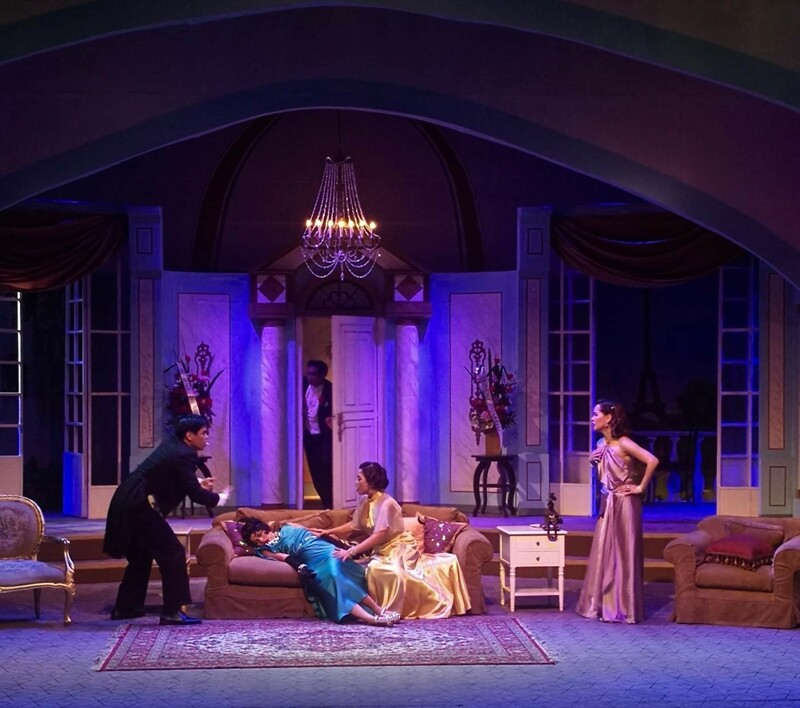 The use of fade away transitions between sections of the play creates a sitcom atmosphere which enhances the over-all experience of the play. Witty acting and big movements that uses almost the whole stage which never leaves a dull moment and would lock you up until to very last moment. Kudos to the director for putting a good ensemble for this kind of material which makes it not hard to chew instead offers a fruity bubbly experience. 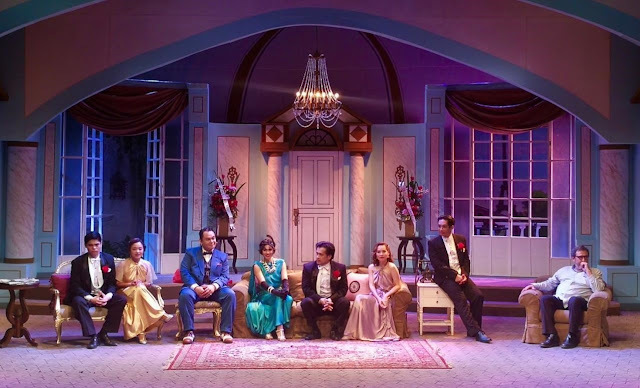 The play may come across as simple comedy that is plainly written to make you laugh and entertain you for a night but there are also snippets of takeaways with this play. It shows how the concoction of different egos could create a chaos, blur people’s judgment and leads to misunderstanding; how love and passion could conquer dreams and also how much it cost; and, that open communication and unveiling the truths would eventually bear harmony. Subtle depth messages may not come as obvious as being shadowed by its very good entertainment value but it manages to afloat above the comical skits. Known for its grand productions and adaptation of award-winning international plays, Repertory Philippines again delivers with “A Comedy of Tenors”. 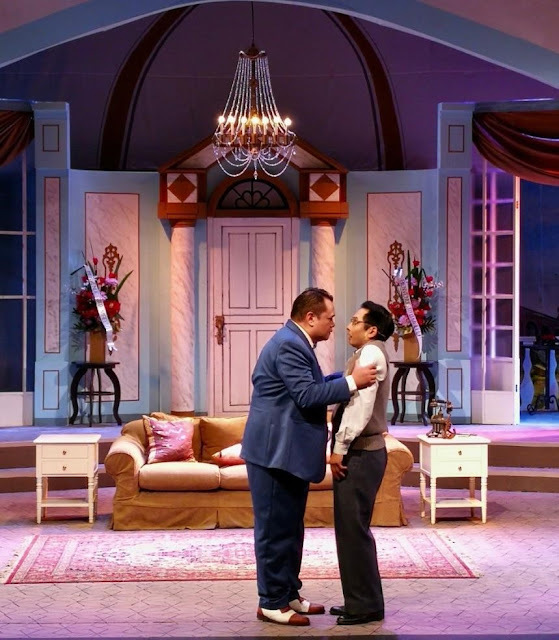 With its up roaring and hysteric cast and story, Comedy of Tenors offers a light-hearted play with a taste of great operatic singing that will just lit up your weary hearts after a tiring week. Indeed, a solid jump-start for REP’s 51st season. Don’t miss and join Tito, Carlo, Bepo and the crew as they put up the concert of the century! 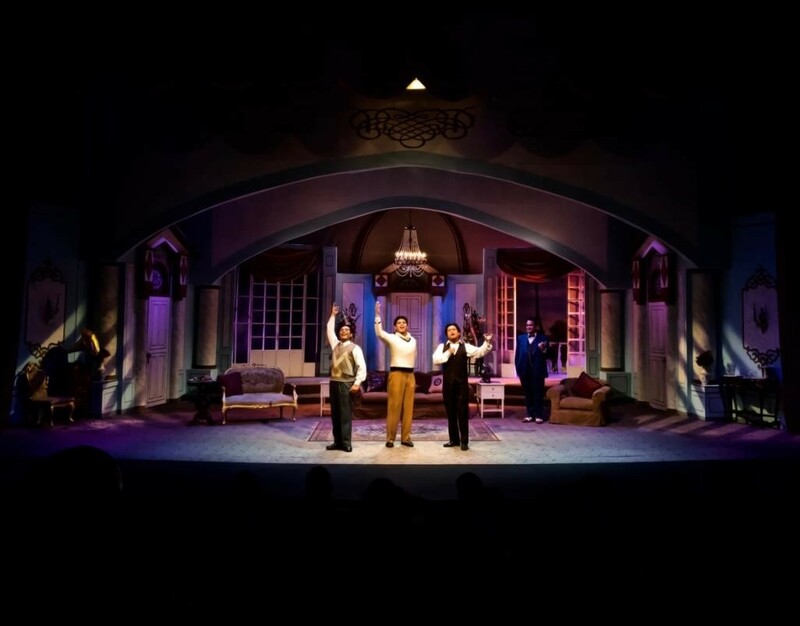 A comedy of tenors runs from January 26- February 18, 2018 at Onstage Theater, Greenbelt 1, Makati City. For tickets, visit www.ticketworld.com.ph or contact REP at 843-3570. Text and photos by Arriane Dave Farnazo.